I love me some Goose Berry Patch Cookbooks, yes, I do! I could easily own several more of these wonderful cookbooks, but sometimes you just have to stop, you know?! Or, wait until next Christmas to see if Santa brings another one. 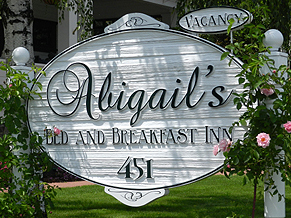 They are reader friendly, easy to follow and I would describe them as down home "real" cooking. Most often you won't find these three books on my kitchen shelf of cookbooks because they are usually sitting next to my spot on the sofa, for easy access in the evenings. You should never read a cookbook just once, it takes multiple journeys through the pages before you really discover what a good cookbook has to offer. Somehow, in all of my page turning, I missed the recipe for Morning Delights, or I just didn't read close enough until a couple of days ago when I zeroed in on page 7 of Best Ever Casseroles. If you're not familiar with Goose Berry, you really should cozy up with a cup of tea and check them out. 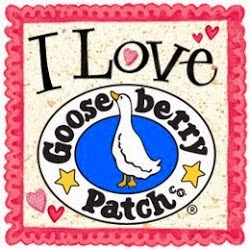 Have you noticed there is a direct link to Goose Berry right here on our blog? Goose Berry Patch - Don't you love the artwork? Press 1/2 of the crescent rolls into the bottom of greased 8 x 8 baking dish. Pinch seams. Set aside. Mix cream cheese, egg, extract; spread over rolls. * Top w/ remaining crescent rolls; sprinkle to taste w/ cinnamon sugar. Bake at 350 for 25 minutes until golden. * I only used 1/2 of the filling. I saved the rest for the next batch. This recipe is is easily doubled and made in 9 x 13 pan. Talk about just a few ingredients; does it get any simpler? That is Almond extract by the way and the jar with half of the label missing is Sugar 'N Cinnamon. Of course you can mix your own sugar and cinnamon but if someone is going to do it for me, put it in a handy sprinkle bottle and sell it at the $1 store, well, I'm all over that! If you are a baker then a can of Baker's Joy is a must have in your kitchen. It's like PAM cooking spray but it has flour in it. Works every time! Since Crescent dough comes perforated, pinch together the seams. Dough on the bottom, filling in the middle, dough on the top and sprinkle to your heart's delight! Ready for the oven.